Luminous and elegant apartment (70m²) on the third floor of a 17th century building (with lift), belonged to the poet Gioacchino Belli, located in the colourful district of Celio-Monti. 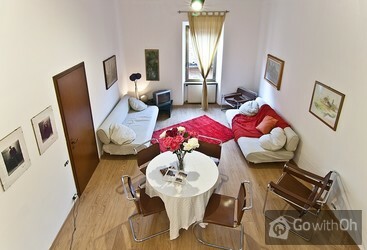 An ideal location for those who wish to visit Rome on foot or using public transportation. Only 300 meters from this apartment there is a tube station for Lines A and B. The Termini Train Station is also within walking distance (1km). This is the most important railway junction in the capital, making basically any destiny reachable, including the airports of Fiumicino and Ciampino. Just a few meters from this apartment is the famous Park of Colle Oppio, crossing this park takes us to the entrance of the famous Domus Aurea; a few meters from this monument we find the symbol of Rome in the rest of the world: the Colosseum. After having visited the Colossus of Travertino, we can enter the roman forum and we arrive at Piazza Venezia, which was present at sad moments in history while still connected to present days (elders remember the famous balcony from which the duce proclaimed the entrance of italy in the war). The markets Traiano, famous for the homonym column, represented the commercial heart of the old capital, and was the first example of the modern commercial centres. This is the description of the monumental area that surrounds the apartment: the heart of the prestigious capital where the empire was developed. The apartment is on the third floor (with a lift), from the entrance there is access to a large space, living  dining room, furnished with two individual sofas bed, a TV stand, table and chairs; a part of this lounge is occupied by the kitchen space, also equipped with all the possible comforts: dishwasher, oven, stove, sink, refrigerator and a large piece of furniture used as separation between the kitchen area and the dining area. Above the kitchen there is a mezzanine, furnished with a double futon, cushions and carpets, a very suggestive corner, ideal to take shelter in moments of reflection and relax. The bedroom is very spacious, with a double bed and additional room for another single bed. 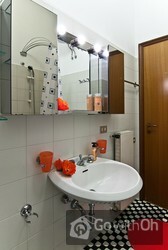 All the decoration is modern and functional, with designer furniture. There is central heating and we guarantee that the apartment is not cold or humid. Wi-Fi internet available on request for an additional charge of 2 per day. Está ubicado estrátegicamente para acceder a casi todos los lugares de interés turístico a pie. El apartamento muy cómodo y luminoso y la atención excelente. The owner contacted us, with all service. Then, in Rome, he did meet us so we did not have to look for the apartment-adress. He had some extra information for us about Rome and about where to go, with maps included. Then there was this bowl of fresh fruit. It was above expectation, super ! L'acceuil était très bien, l'appartement bien mais peut être un peu juste pour 6 personnes. Pour quatre c'était bien. On a eu un soucis avec le lave vaisselle que l'on a signalé aux femmes de ménage à la sortie. L'emplacement était bien mais un peu bruyant pour nous qui smmes de la campagne. The apartment could sleep up to 6 if you use the loft and pull outs. 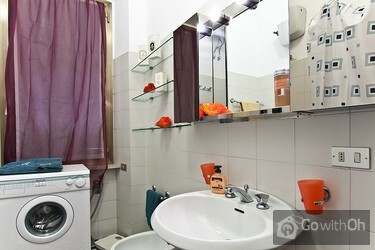 Location is really good, near, Santa Maria Maggiore and Termini Station and easy walk to bus, train, colloseum and Piazza Venezia. It was fairly quiet at night, on a small back street that has 3 good small restaurants, a very ...good Italian food store, and a tiny coffee bar that we loved. Contact person S. was very helpful, met us promptly, returned emails, gave us recommendations on local travel and sight-seeing and shopping. His English is quite good. I recommend this apartment. 8/10 appartement bien situé, pas très loin du Colisée et à deux pas du métro Cavour. très bonnes explications et conseils du propriétaires ( ne parle pas français). équipement ménager un peu juste (pas de bol pour le petit-déjeuner). salle de bain très moyenne. un peu bruyant la nuit. the apt was good! the contact with the owner was really super! he was really helpful and guide us to many places as soon as we arrived! he surprise us with lots of fruits! the only thing tha apt needs its an air conditioning! the location i think was the best! next to santa maria majore church and ...so close to termini! we walked also to the colosseum! 10 min walking! The apartment was nice. The contact person was helpful and pleasant to us. Bellissimo! Altamente raccomandato La persona de contatto e stata bravissima! tanto per il nostro arrivo come per prenderci al aeroporto e organizare la partenza L'appartamento e stato pulito, bello, comodo per 6 persone e l'ubicazione e propio nel centro archeologico di Roma (vicino al Coloseo,... Sta Maria Maggiore e San Pietro in vincoli) La nostra sperienza e stata buonissima! Super accueil de S, avec pleins de conseils visites, etc.. Appartement très bien situé, proches commodités (resto, métro, supermarché), lumineux et spacieux. Nous étions 6 et nous avions largement la place. Lave-linge à dispo, pratique si l'on ne pas se charger les valises... Nous reviendrons!! 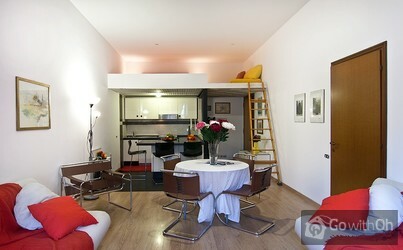 The location was perfect being centrally located in Rome. 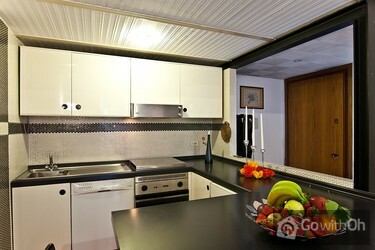 Easy walking distance to shops, restaurants and the metro train station. The building / apartment is very secure with three levels of security in place. We would recommend this to all future travellers. Superbe accueil et service de la part du propriétaire. L'appartement est confortable et idéalement situé. Logement extrêmement bruyant, mériterait un équipement en double vitrage. Toilette non séparé de la salle de bain.. 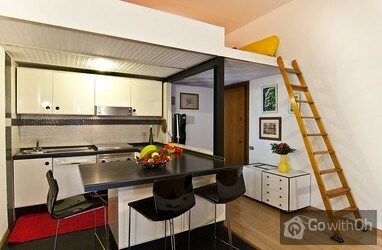 Very nice apartment in the center of Rome, friendly and helpful owner - welcomed us with a basket of fruit. Definitely recommend this apartment to other guests.